I am so excited that you dropped by. Keep in mind that my site like life is always a work in progress. Come back often to check out posts and for another cup of comfort. If you are looking for a gentle place to ease into change or to rest, you’re in the right place. You will find a Transformation Toolbox (my blog) filled with hope, help, healing, and proven pathways to finally put into action the promises you have made to yourSelf (self-esteem, self-worth, self-confidence) for the best expression of you, right here. Subscribe with your email address and become a member of our community~ where each one, teaches one. I just love this. Grow on girl. The colors are so calming and relaxing. You always develop great ways of doing things because of your creative gift from God. You are using this website to your fullest, so let your light so shine before others and do the good works that God has given you. I like your blog, it is very calming and inviting! It’s a great way of reaching others! And is truly needed, yes, right at the Front Porch! Thank you so much for the kind words and encouragement. I do want to let God’s light shine through me and help others with pain relief on spiritual, emotional, energetic, mental, and physical (SEEMP) levels. Since the world seems to be in the midst of chaos I thought calm and inviting were necessary parts of the blog. I hope you signed up through email so that we can stay connected. Thank you so much for visiting and digg-ing my post. My intent is to help others find emotional freedom and I do use tapping in my practice. Thank you so much for dropping by and deciding to follow my blog. I get excited when new friends come on board. My sweet soul sista Dr.Cj!!! You have taught me so much about the will to thrive. 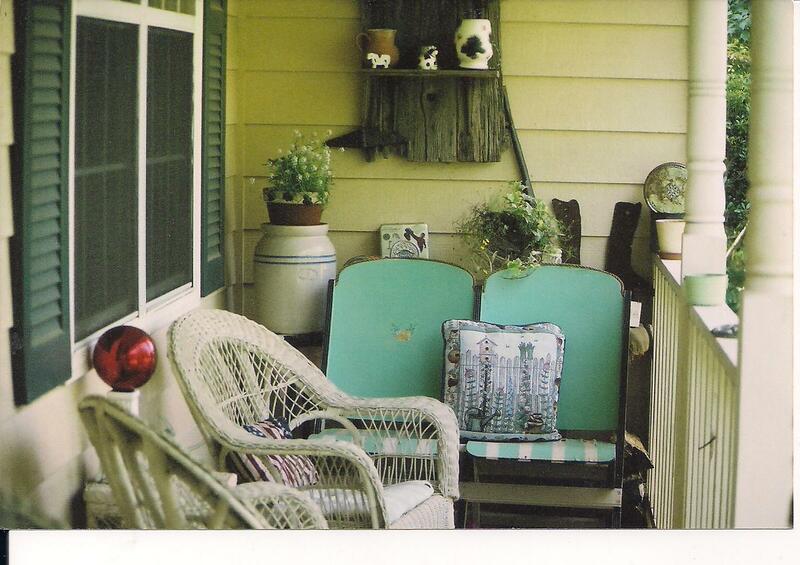 Your porch is very welcoming and I would love to come sit and visit. Ruthie, I’d love to have you sit and watch nature from my porch. We spend a lot of time out there during the warm weather.